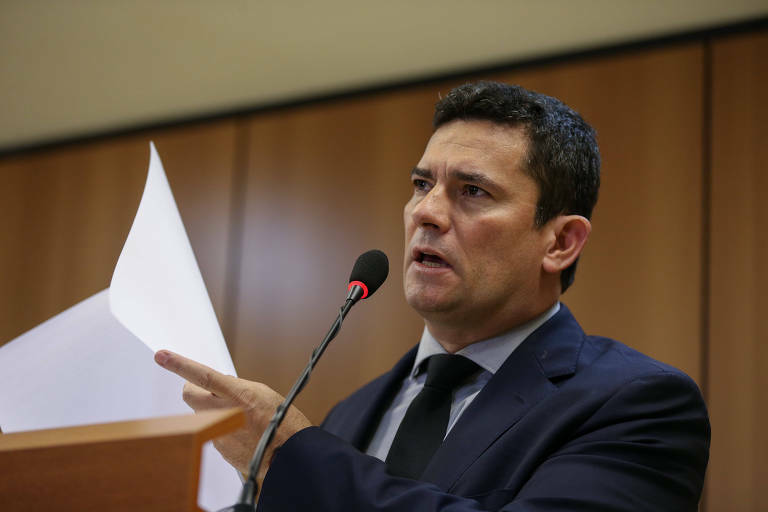 Justice Minister Sergio Moro said on Monday that a new bill to change the parameters of self-defense "is not a license to kill." If approved by Congress as is, the new bill will consider self-defense when a person kills to prevent aggression during a risk situation or armed conflict, and also during a hostage situation. The bill also would reduce a sentence to half or cause an acquittal if the self-defense act happens due to "reasonable fear, surprise or violent emotion." According to experts, Brazilian courts have been already treating self-defense cases in this manner, but a law making it explicit reinforces the government's view of the matter. Moro denied that the new bill would lead to a "slaughter." "There is no license to kill. Whoever says that clearly didn't bother reading it," the minister said. "The bill describes and establishes situations of armed conflict or imminent risk. I don't think a police officer needs to wait until he gets shot to react accordingly; that also doesn't mean that the law will allow him to kill indiscriminately." Moro gave as an example the case of a Brazilian TV personality, Ana Hickmann, who was saved by her brother-in-law during a murder attempt in 2016 when reacted to disarm a man who was threatening Hickmann and the suspect died during the struggle. Hickmann's relative was later acquitted of the perpetrator's murder. Moro also said that the government is not seeing armed conflict as a public security strategy. "It can happen in certain situations, and these situations need to have some legal provision," he said.